On the sixth day of Christmas my green friend gave to me…6 craft beers, 5 solar panels, 4 sea turtles, 3 rain barrels, 2 milkweed plants and a live Christmas tree! Oh my green friend knows how much I enjoy locally crafted beers! Not only do local micro-breweries reduce the transportation and related carbon emissions factors but they create jobs in a town that may otherwise have a high unemployment rate. These are all good things! There are a number of people creating “home brews” and turning out some pretty good stuff, some better known than others. And then there are those that venture into a beer business. The good news is most of these beers are quite tasty! In my town we have an annual beer-tasting event which draws breweries from all around Florida. I always enjoy this tasting event because I learn about beers I may not otherwise have known about. 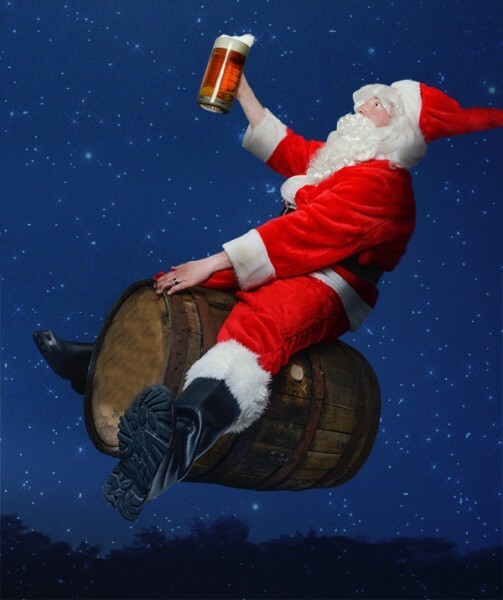 The featured picture is from a website I happened upon that had a great “beer” after-Christmas greeting by Andy Skelton which you might enjoy..I found it very entertaining and hope you will take the time to read the clever verses! Needless to say I am thrilled about the gift my green friend gave to me – a six-pack of a new locally brewed beer that I probably would not have known about!